For most of us, we first travelled to Axminster on South West Trains superbly maintained class 159s - currently by far the most reliable units of their generation and the winner for the forth year running of the Golden Spanner awards. The track through Axminster has recently redoubled, so we arrived on the new down platform from where this photo was taken. 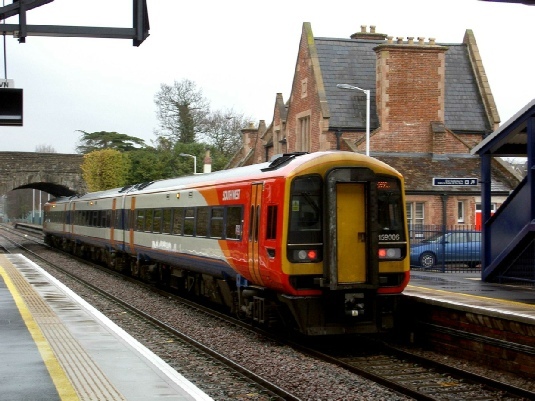 Unusually trains use the right hand line during normal running, so this photo shows an Up train, 159 006 working the 11.06 to London (10.26 from Exeter St Davids). 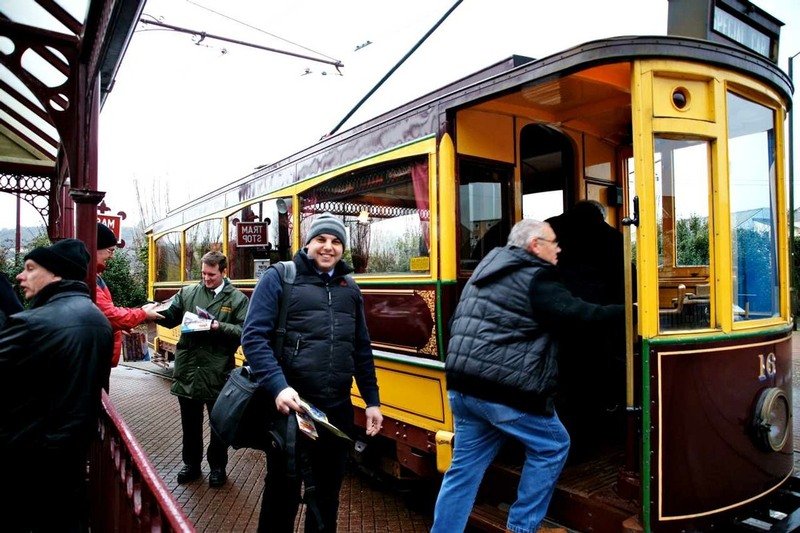 It was a tight squeeze inside the trams - here members enjoy the 3 mile journey to Colyton on tram number 16. 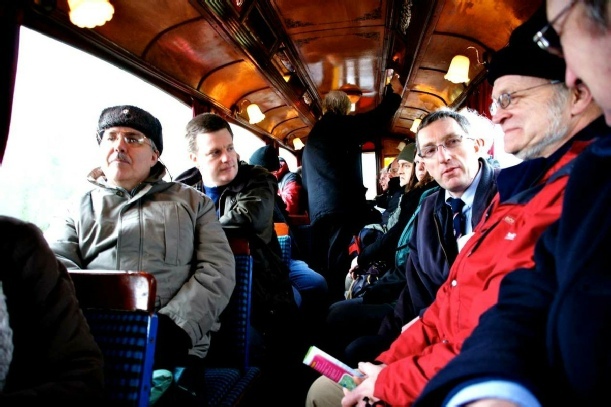 Note the British Rail 'Bournemouth Blue' seat moquette. The party disembarked at Colyton for the AGM. Tram number 14 has just discharged it's party and awaits the trolley pole to be turned round so that it can reverse. 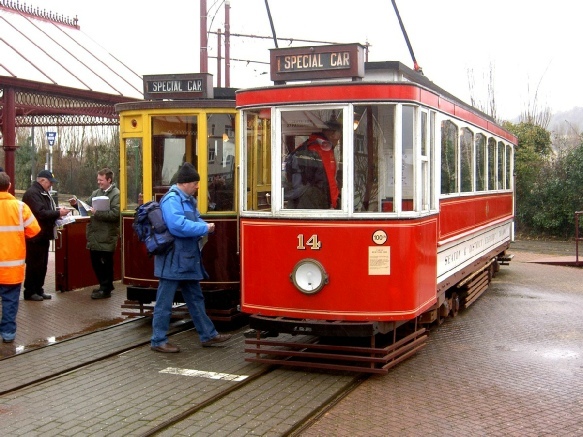 Tram No 14 body is made from 1904 Metropolitan Electric Tramway tram 94, later London Transport double deck tram 2455. The lower saloon was reused, being narrowed by cutting down the middle. The AGM was held in the refreshment room at Colyton. 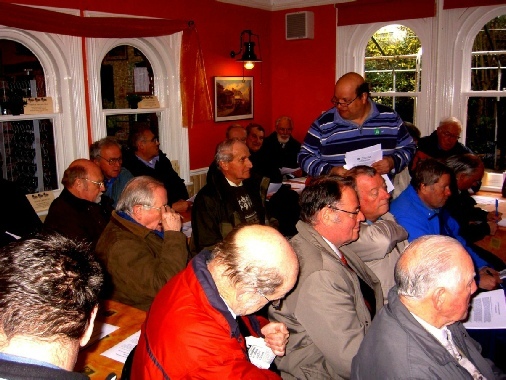 Unfortunately the room was rather too small for the 56 members who attended - so it was either a tight squeeze outside the room or stand outside. 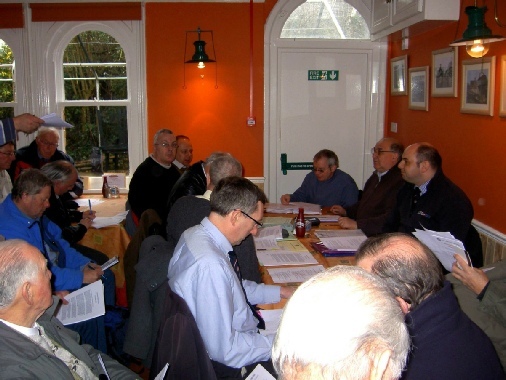 On the left photo, our President, Nick Agnew (back right next to fire exit), Chairman Alan Spencer (to the right of Nick under light switch) and Institution Secretary (to the right of Alan) get the proceedings underway. 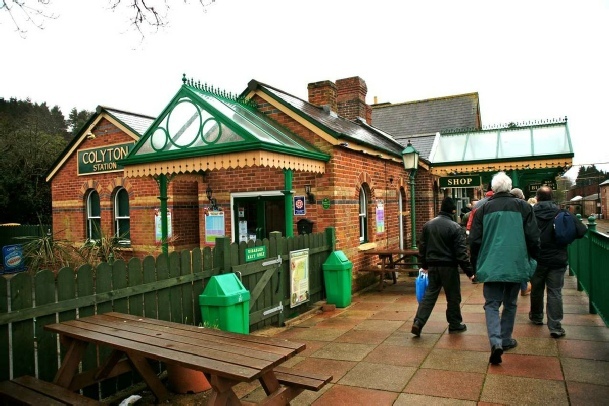 After the formal AGM there was a light lunch and time for a browse round Colyton station and shop. The trams then returned from Seaton. 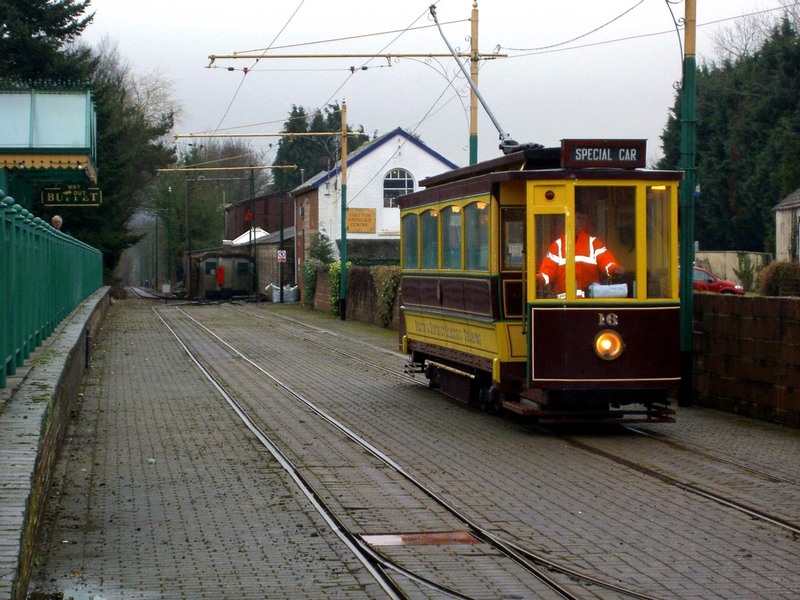 Here Tram 16 arrives in the 'loop' - note the former concrete Southern Railway Platelayers hut in the distance. And reverses in the loop. 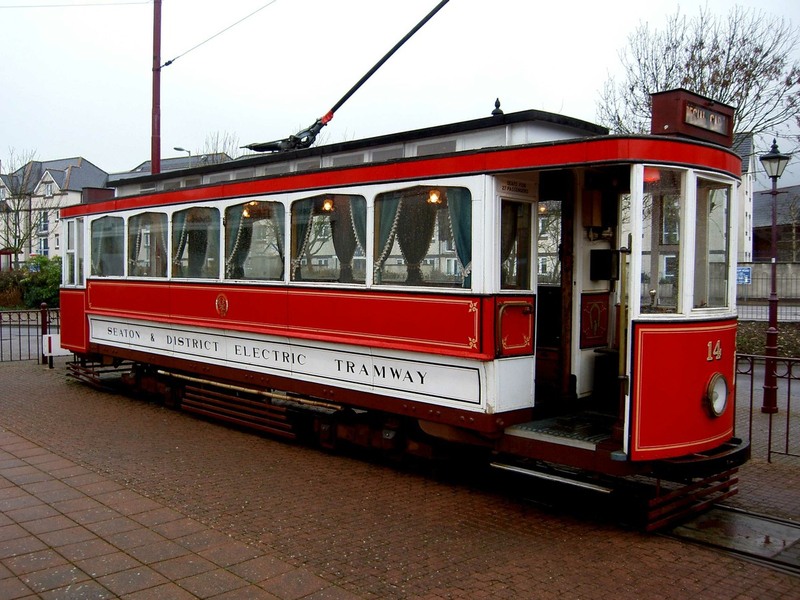 As the trams have trolley poles, these have to be pulled down from the wire, turned round and put back on the wire each time the tram is reversed. 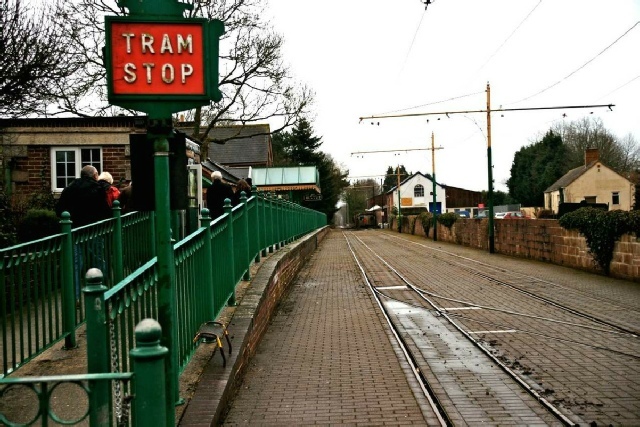 Trams 14 and 16 are marshaled ready for boarding. 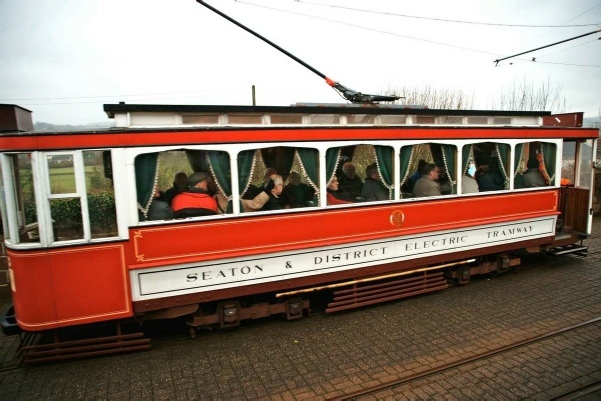 Tram 14 was driven into Seaton Depot, though unfortunately the number of members prevented a dept tour. 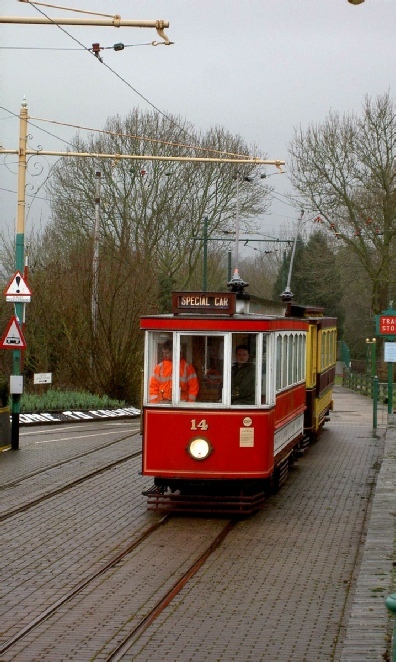 Tram 11, one of the double deck trams, is seen from the cab of Tram, 14 as we depart. 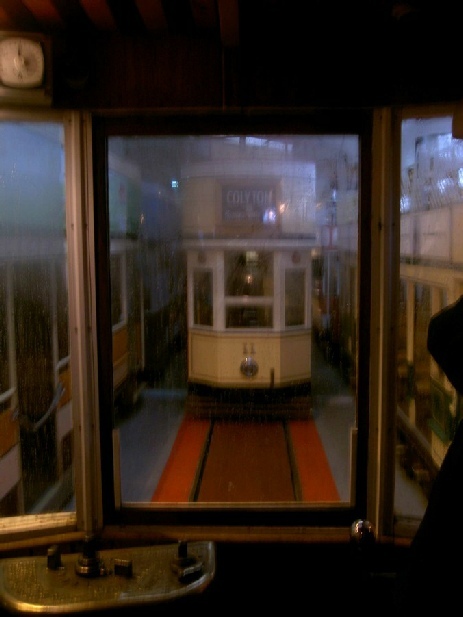 journey back to Seaton. 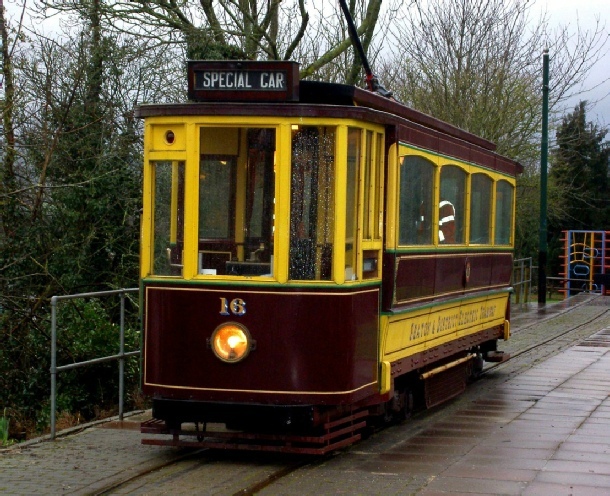 Tram 16 after return to the Seaton terminus. 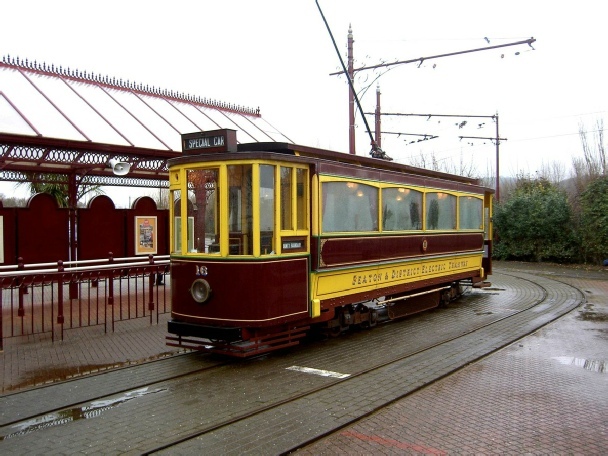 Tram 16 uses parts of a former Bournemouth tram 106. dating from 1921 and is painted in old Bournemouth maroon and cream livery. 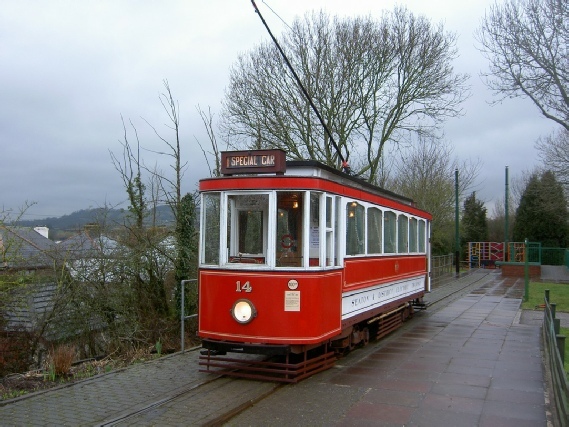 We finish with Tram 14 at Seaton after the Locomotive and Carriage Institution party had disembarked.